Currently... Don't call it a come back! I'm so excited to be back in the land hockey and silent auctions! But, don't call it a come back, I've been here for years! This will be my fifth year putting pencil to ice (with a slight hiatus) and my first year with the new team in town The Stockton Heat! And this time we're cranking up the heat and going House of Doodle style! The Big news is that proceeds from The Heat’s Superhero silent auction and ticket sales (via link posted below) will help benefit House of Doodle’s community outreach and bring art, supplies and high fives to children in difficult situations within our community. 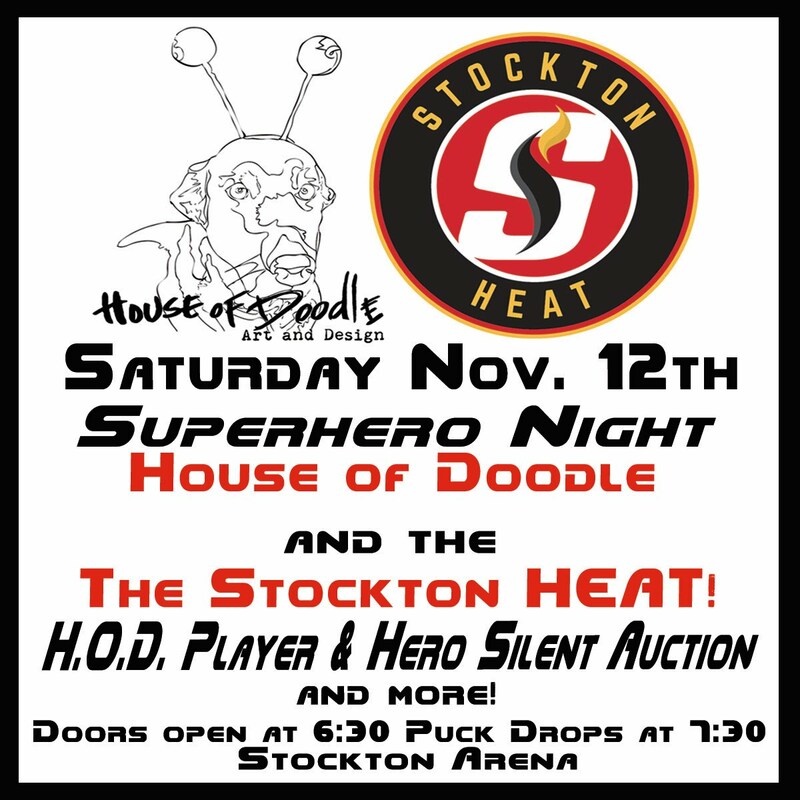 So, Come out for a Super fun night of Hockey, Heroes and House of Doodle! Grab your tickets here: https://stocktonheat.formstack.com/forms/fundraisertix - use the drop down menu and scroll to House of Doodle and a portion of each ticket will come back to HOD to help in future community based outreach projects! All super suits, Mjölnirs, power rings and lassos of truth are both welcomed and encouraged!